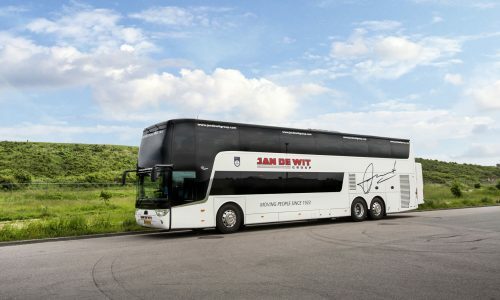 The Jan de Wit Group’s luxury coaches are a familiar sight on European roads. 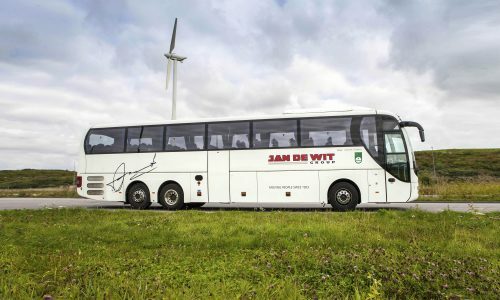 Originally part of the Roodt Touringcars company, founder Jan de Wit started developing this business unit of the Jan de Wit Group in the fifties of the last century. 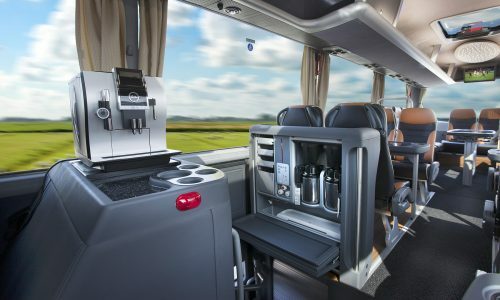 In the course of 45 years, this developed into a nationally and internationally leading coach company that, to this day, is one of the largest in the Netherlands.The fleet now operates about 100 luxury coaches and is among the most modern in the Benelux. 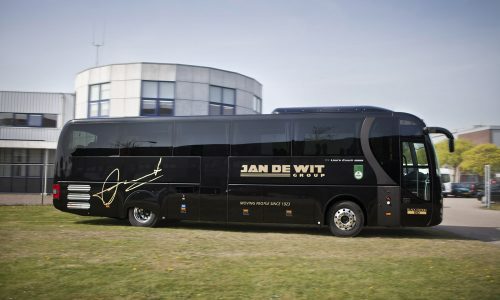 The Jan de Wit Group serves all conceivable segments of national and international transportation by luxury coach. 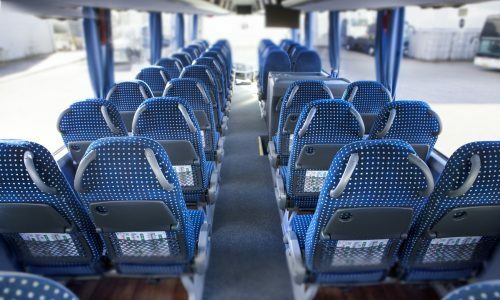 Band and crew transportation in the entertainment industry. 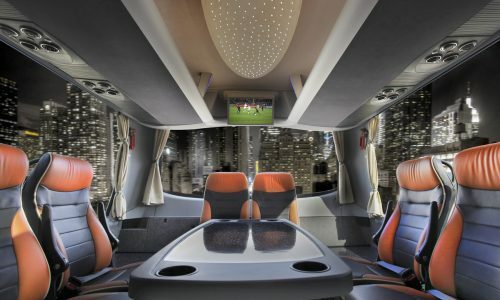 You name it: the Jan de Wit Group always offers you a tailor-made transport solution by luxury coach. 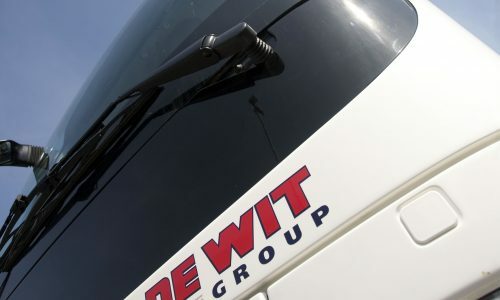 Our representative and skilled drivers ensure that you reach your destination in a safe and comfortable manner.Your host or hostess on board is of course fully qualified and the Jan de Wit Group ensures that you are guaranteed optimal professionalism of your driver by offering them various additional (voluntary) courses, including additional driving proficiency tests and analyses, as well as courses on social skills, tour guide skills and first aid. 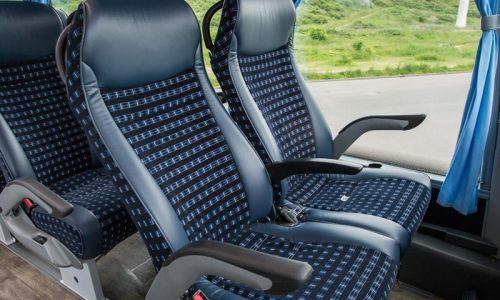 We guarantee a high quality service you can trust. For more information, contact us.